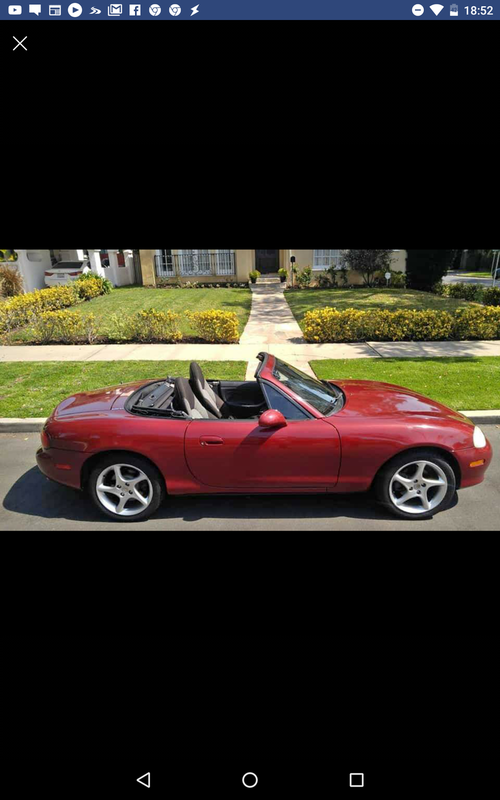 Looked at a Miata today, Gonna buy it! I didn’t take any pictures, so some from the ad will have to do. Garnet mica is a pretty uncommon color generally but it’s pretty cool to come across. Unfortunately it’s not the original paint, but it was resprayed in the same original color. It’s not a perfect respray but it’s good enough for me. Looks great even at 5 feet but there’s some overspray and it’s not a perfect paint job. It runs great and has been maintained though which is what I care about. Also no rust, clean title, timing belt done recently, tires are about 2 years old, and it drove perfectly. 132k miles and asking price was $5200. Talked down to $4900 and hoping to make the deal tomorrow. Just waiting for a smog check, which should be a formality, but you never know. I imagine it will pass but just not having it done before sale is never a good thing. I will hold my breath until that happens and then I can call it final. It is indeed an LS, I checked the suspension and the diff and the bose sound system to confirm. It originally had leather seats but they were redone with cloth along with a new top and the aforementioned paint job. Unfortunately since it’s an ‘03 it’s not a Torsen LSD anyways but I could always just install mine if need be. So, why am I replacing my other Miata? Yeah that’s not fixable. I did some disassembly today and was getting hit by chunks of what used to be metal with every go of the impact wrench. I’ll still rebuild the motor for future use but shell is a goner for sure. Hoping the sale goes well for the red one!